The Galaxy Note 5 is an evolution of Samsung's popular Note range, keeping its predecessor's large display while packing it into a thinner package. The S6 Edge+ is a scaled-up version of the S6 Edge, which launched earlier this year and is said to be the more popular of Samsung's twin flagships. Both new smartphones sport 8-core Samsung Exynos chips, 4 gigabytes of RAM, 16-megapixel rear cameras, and 5-megapixel front cameras. The rear cameras can now capture 4K video, and stream live to YouTube in full high definition. The Note 6 and S6 Edge+ will be available in either 32- or 64-gigabyte configurations, and neither will ship with a memory expansion slot. "At Samsung, we believed in the promise that big screen smartphones could actively address some major consumers pain points by providing users with a better viewing experience and more productivity on-the-go," Samsung Mobile chief JK Shin said in a release. 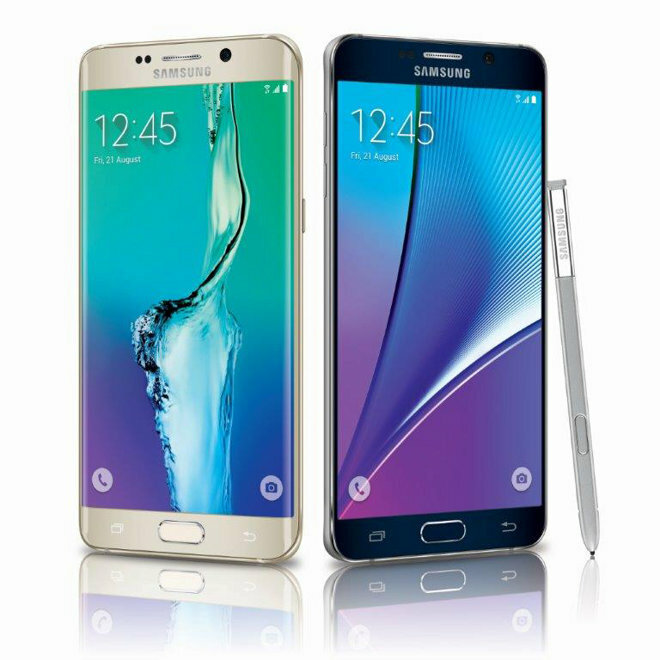 "With the launch of the Galaxy S6 edge+ and Note5, we're reemphasizing our commitment to bold, fearless innovation that meets the needs of our consumers." Samsung has yet to reveal pricing for either device, though both will be available in the U.S. on Sept. 21. Color options for the S6 Edge+ include black and gold, while the Note 5 will come in black or white.